The initial application of Jordan Sports Co., Ltd. (hereinafter referred to as "Jordan Sports") was approved by the Securities and Futures Commission's Issuing Committee. 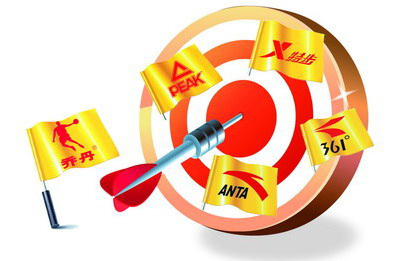 This means that following Anta, 361 Degrees, Xtep and Peak, Jordan became another listed sporting company born in Jinjiang, Fujian. On November 25, the initial application of Jordan Sports Co., Ltd. (hereinafter referred to as "Jordan Sports") was approved by the Issuing Committee of the China Securities Regulatory Commission. This means that following Anta, 361 Degrees, Xtep and Peak, Jordan became another listed sporting company born in Jinjiang, Fujian. Moreover, unlike the four listed companies in Fujianâ€™s â€œcorpsâ€ and Beijingâ€™s Li Ning who landed on the Hong Kong Stock Exchange, Jordan Sports has chosen the domestic A-share market, and thus it will also become the first listed sports company for domestic A-shares. .
Jordan Sports issued 11.25 million shares this time, accounting for 20% of the total share capital after the issuance, with a face value of 1 yuan per share. The company intends to land on the Shanghai Stock Exchange. The prospectus shows that Jordan Sportsâ€™ operating revenue from 2008 to June 2011 were respectively 1.158 billion yuan, 2.316 billion yuan, 2.927 billion yuan, and 1.704 billion yuan, and the performance growth rates were 100% and 26.33% respectively. As of June 30, 2011, there were 5,715 brand stores, 266 R&D personnel, and nearly 2,000 models of new sports shoes. In the current intense competition in the domestic sporting goods market, with the help of the rapid expansion of capital strength, expansion of terminals, and promotion of brand image in order to seek brand breakthroughs and upgrades to cope with competition, they have become the same choice. For those brands of second- and third-tier sporting goods that are not yet listed in Jinjiang, as the limited market is gradually being divided up by dominant companies, their pressure will inevitably increase and the days will become increasingly difficult. The "flavour" of the first-time applicant companies in the past two years has been an important aspect of the CSRC's issuance committee. In spite of this, the Jordanian sports that he attended this time still highlights a very strong family â€œtasteâ€. Jordan Sports formerly known as Jinjiang City, established in 1984, Chen Xixi side daily necessities second factory, was a private collection system enterprises, a total capital of 30,000 yuan. In 1990, the daily necessities factory re-registered as a collective-owned enterprise with a registered capital of 136,000 yuan. The company is affiliated with the village committee, and Ding Lao Sui, Ding Guoxiong and his father and son each invested RMB 68,000 to establish a fund. The prospectus shows that after several changes, share reforms, and capital increases by Jordan Sports, currently the top six shareholders are Fujian Baiqun (64.73%), Ding Jiafang (16.18%), Ding Canhui (8.09%), and Ni Zhennian (6%). Xie Changzhi (3%) and Ding Shijie (2%). Among them, Ding Guoxiong and Ding Yezhi have 100% holdings of Fujian Baiqun, Ding Jiafang is the younger brother of Ding Yezhi, and Ding Shijie is the nephew of Ding Guoxiong. Therefore, the current actual control of Jordan Sports is Ding Guoxiong and Ding also governing couples. The prospectus also shows that the legal entities of the direct branches of Jordan Sports are members of the Ding family. For example, the corporate representatives of Liaoning Baisheng Commerce, Dalian Baiyue Commerce, Hubei Baishang Commerce, Sichuan Baiying Commerce, Guizhou Bairui Commerce, Shanghai Baixing Commerce, etc. are all Ding Shijie, namely Ding Guoxiong. Of course, the family's â€œtasteâ€ is relatively strong, which is a common feature of most clothing and footwear companies. If Peak Sports was previously listed and issued 420 million shares, Chairman Xu Jingnan holds more than 61% of the shares. From the experience of members of the Ding family, Ding Guoxiong has been engaged in shoes-related business for many years, and Jordan Sports previously took care of the agency business in Wuhan, Liaoning and other places by members of the Ding family. Ding Guoxiong has started selling individual sports shoes in Beijing in the early 1980s. Since 1985, Ding Guoxiong began to sell sports shoes at the same time as the retail of shoes, and provided it to the self-employed people around Beijing. As of the end of 1995, Ding Guoxiong opened a total of more than 10 retail stores and wholesale shops in Yabao Road and Da Kang Shoes City in Beijing, and engaged in footwear distribution for 12 years. At the beginning of 1985, Ding Guoxiong will use part of the proceeds from the sale of sports shoes in Beijing for local footwear trade in Jinjiang. Ding Jiafang has been selling accessories and accessories for shoes and apparel in Quanzhou, Fujian Province and surrounding areas since 1990, mainly providing accessories for Jinjiang Shoes Factory and Shishi Garment Factory. Many years later, the "Ding's" family collectively completed the "Lei Yue Longmen" and became the biggest winner. What needs to be pointed out is that, with the success of the listed companies becoming public companies, on the basis of the strong â€œtasteâ€ of the family, how to continuously improve the corporate governance structure, further improve the companyâ€™s modern management level, and introduce more professional management teams and talents? More standardized management will become a new topic for the company in the future. Jordan Sportsâ€™ raised funds are mainly used for production R&D and channel construction. Among them, the expansion of the shoe production base will be one of the most important uses. The project is expected to have a total investment of 4.9537 trillion yuan, the amount of which is the first of the four major investment projects. The prospectus shows that Jordan Sports established a shoe factory in 2004 and completed construction of the second shoe factory in 2010 and put into production. At present, the company has a total of 16 shoe production lines, shoe production capacity of about 16.5 million pairs / year. After the completion of the new shoe production base expansion project, it will increase annual output of 9 million pairs of various types of shoes, 4.8 million pairs of high-frequency printing and embossing, and 15 million pairs of soles. In fact, with the rapid development of the brand, the production capacity of Jordan's sports footwear products can no longer fully meet the sales needs. This is due to the increasing sales of footwear products and the rapid growth in demand. The sales of Jordan shoes have maintained a high growth rate in recent years. In 2008, the company sold 5.75 million pairs of shoes, achieved sales of about 490 million yuan, an increase of about 96%; 2009 sales of 8.55 million pairs, sales of about 720 million yuan, an increase of about 49%; 2010 sales of 13.6 million pairs Sales of about 1.18 billion yuan, an increase of about 63%. Based on previous years' sales and the analysis of the future sports shoes market, Jordan Sports believes that with the continuous expansion of market demand, the companyâ€™s existing sports shoe production capacity will become increasingly unable to match sales volume year after year. The lack of capacity will limit the future development of the company, which puts forward an urgent demand for the expansion of the existing production base. Second, outsourcing production raises the cost of some shoe products and is easily constrained. At present, Jordan's sports shoe products are mainly self-produced, but there are still some products that need to rely on external processing units. External processing increases the manufacturing costs of some products. At the same time, the processing is subject to the production capacity and technical level of the external vendors. When the new project expansion is completed, the new production capacity can transform the current part of the production of external products into independent production, effectively reduce production costs, increase profitability, so that Jordan can control the initiative in the important part of the shoe product quality The power is in your own hands. At the same time, it will effectively solve the problem of insufficient production capacity of the company, increase the added value of products, and provide product support for the development of corporate sales and improvement of profitability. The prospectus shows that after the completion of the expansion of the production base, the annual production capacity of Jordan shoes will increase from the current 16.5 million pairs/year to more than 20 million pairs/year. Jordan Sports pointed out that it is one of the objectives of Jordan's long-term development strategy to maintain and improve the core competitiveness of the manufacturing process. Another important investment for Jordan Sports to raise funds is to expand its direct-operated stores. It is expected that within two years, the Jordan brand will build 27 new strategic stores in all Tier 1 cities (Beijing, Shanghai, Tianjin, Taiyuan, Wuhan, Zhengzhou, Changsha, Hangzhou, Jinan, Xiâ€™an, Nanjing, Guangzhou, Harbin, etc.) The camp has a total investment of 470 million yuan. Among them, the number of shops in which the property was purchased was nine, approximately 3,000 square meters; the number of shops leased was 18, with an area of â€‹â€‹5,400 square meters. The prospectus shows that in 2002, Jordan Sports had fewer than 1,000 stores, and by the end of June 2011, its stores had grown to 5,715, especially in recent years, the number of its stores has been accelerating, with outlets covering all levels of cities across the country. . At the same time, the company continues to enhance the brand's brand influence by providing corresponding support to different levels of outlets. Its national network system is divided into 4 sales regions and 32 sales districts, with 53 dealers and 7 wholly-owned subsidiaries operating in stores. However, the vast majority of its current stores are small-scale, low-grade dealer stores, which are generally under 100 square meters in size, and are generally small in size. Among the 27 new strategic stores to be built, 26 have an area of â€‹â€‹300 square meters or more, about 400-500 square meters, and all are built in important commercial areas in key cities (such as Wangfujing Street and Xiâ€™an East Street in Beijing). Chengdu Chunxi Road, Wuhan Jianghan Road Pedestrian Street etc.). In this regard, Jordan Sports pointed out that the terminal image is the vivid carrier of brand image and live advertising, and the brand image is the spiritual enrichment and value enhancement of the terminal image. Through the expansion of the single storefront area, door head decoration, storefront decoration, and goods arrangement display can be used to more fully demonstrate the Jordan brand image and cultural connotation and achieve the goal of enhancing the brand's overall image. Through the expansion of channels, the Jordan brand will further strengthen its market penetration, enhance market control, and better respond to all aspects of competition. Specifically, through the increase in the number of retail terminals, the scale of business operations can be expanded and profitability can be improved. The more important role is also to take advantage of the favorable geographic location of the new flagship store to make the flagship store a rapid collection and feedback center for regional market information, to collect, collate and analyze market information more directly, and to directly feed back to the company's headquarters. At the same time, with the good design of the newly opened high-quality shops and more powerful product display, the sales performance of the original shops in the region was boosted. In fact, the current domestic sporting goods market is extremely fiercely competitive. Nike, adidas and other international first-line brands and local Li Ning, Anta and other leading brands have launched positive trials in the first-tier or even third- and fourth-tier cities. The expansion of the marketing network has long been a direct driving force for the growth of revenue and expansion of various brands. At the same time, it has become the most direct window and channel for propagating and promoting brand culture and image and feeling the changes in the consumer market. For this reason, all brands are staking their positions and seizing the market, especially in accelerating their opening of stores, opening of large stores, and implementing winning strategies. It is precisely because of the strategic significance of knowing the expansion of channels, the major investment in the funds raised by all brands is used for network expansion. Take Li Ning as an example. After listing on the Hong Kong Stock Exchange, it accelerated channel penetration. From 2007 to the end of 2010, the number of terminal retail stores in Li Ning was 5,233, 6,245, 7,249, and 7,915, respectively. The average annual growth rate of shops was nearly 15%, and the average annual net increase in stores was nearly 1,000. Jordan Sports participating in the fierce competition apparently knew this well and accelerated in that direction. According to a prospectus, Jordan Sports will also set up an R&D and design center to raise funds. The project includes sports science laboratories and three branches of shoes, clothing, and accessories. The total investment is estimated to be 129 million yuan. Jordan Sports pointed out that the current competition in the sporting goods industry is becoming increasingly fierce. Companies relying on speculation, low-level imitation, and irregular marketing will find it difficult to survive. The competition among enterprises has transformed into a contest between innovation capabilities and scientific and technological strength. Design and R&D have become increasingly important competitive weapons for companies. Therefore, if Jordan Sports wants to form a comparative advantage with other competitors, it must strive to create its own design and R&D capabilities, increase the companyâ€™s talent pool, and increase product design and development efforts. In addition, the information-based construction project is also a use of raised funds, with a total investment of 117 million yuan.